Most of us want to believe that we’ll remain healthy and robust for the duration of our lives. While that is a nice thought, it’s not always possible. A person who turns 65 years old today has a 70% chance of requiring long-term care service or support at some point in their life. 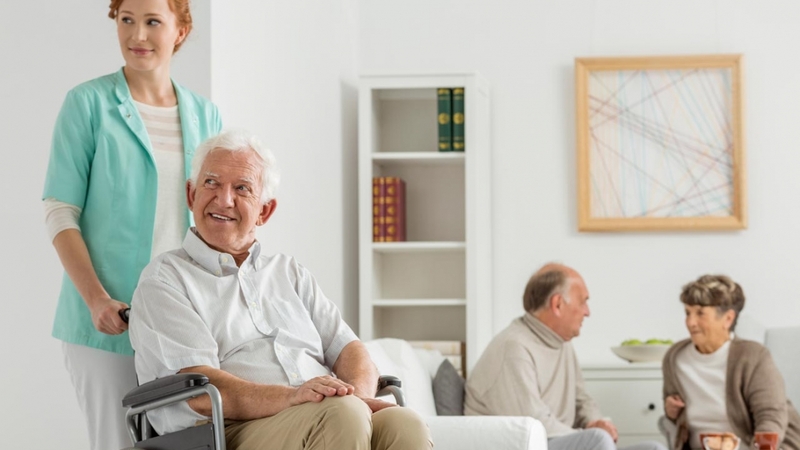 People live longer, which means individuals may need assisted living care services for more years. According to the U.S. Department of Health and Human Services, women need an average of 3.7 years of long-term care while men need an average of 2.2 years. The average needed for both genders is around 3 years. The price of care isn’t cheap. A Genworth Cost of Care Survey conducted by Carescout collected more than 15,500 responses across 440 regions in the United States. The median annual cost for one person in an assisted living community is $48,000. Nursing home private rooms came in at $100,375 and nursing home semi-private rooms were at $89,297. Most of the misunderstanding surrounding long-term assisted living care focuses on cost and who pays for services. The following will help debunk those myths and allow you to plan more effectively with fewer surprises. You never know when an illness or accident could put you in a situation that requires long-term care. Some people develop chronic conditions like high blood pressure or diabetes. These can lead to a need for in-home or residential services. Even if you are young and healthy, it’s best to be as financially prepared as possible in case the unexpected happens. He also added that most people will need intermediate or custodial care to assist with day-to-day activities. Medicare does not cover these services. Families sometimes opt to provide care for loved ones. This is one way to save money. However, it can be very demanding on your loved one’s life. You should never assume that friends or family members will take on this responsibility. You should discuss your wishes with them and confirm that they are willing to take over as your caregiver when the time comes. Some health insurance plans may include minimal coverage for care and skilled nursing service. However, these are usually short-term and intended for rehabilitation or recovery only. They are not meant to cover long-term care. Most plans directly state that they do not cover long-term care. If you have questions about specific benefits and limitations, talk to your insurance provider. Long-term care insurance can give you peace of mind. Just remember that your plan may not cover all costs. There are often limitations written into the policy. For example, some may not pay benefits during the elimination period. This is the number of consecutive days that you must be in a hospital or disabled before your benefits begin. Some facilities or providers may charge more per-day than the policy’s daily maximum. Others may charge for amenities and additional services that are not covered. Having a savings is great, but make sure you know what to expect in terms of the total cost of care. Expenses can range from thousands to hundreds of thousands of dollars over the course of a few years. What seemed like a generous nest egg may turn out to be a drop in the bucket if you need long-term services. Learn more about the current cost of care and how much it may rise as you age. It’s also helpful to explore additional options, like insurance. Learning about long-term care costs should be the first step in preparing for a comfortable future.